It has been a while since we’ve looked at sports jackets and that is why, for this week’s selection, we picked 8 brilliant jackets for outdoor enthusiasts. Whether you are hiking, fishing, camping or simply enjoy spending time in nature, then we have just the perfect picks for you. 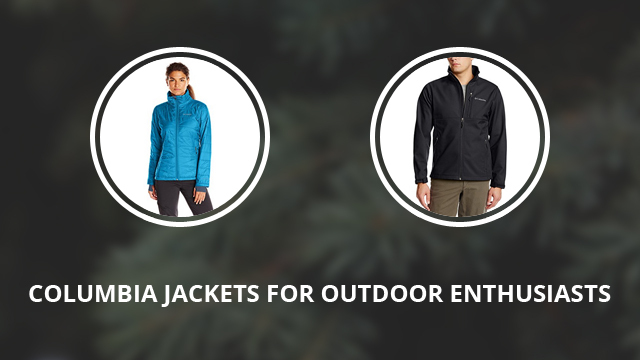 To make things even better, we picked all of them from one single brand, Columbia. 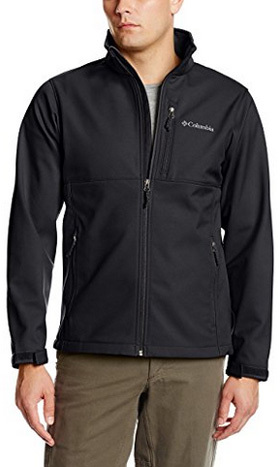 Columbia is one of the best brands when it comes to outdoor gear. They create top quality products and are constantly reviewing and improving the fabric technology, craftsmanship and design. It is a recurring brand in our reviews and for very good reason, as you are about to see in a moment. * Note: The availability of the clothes (including colors and sizes) might change at any time. Also please check the clothes’ materials and features on the various shops before buying. We do our best to assure the accuracy of our articles, but sometimes they might contain errors. The product images shown are for illustration purposes only. Let’s begin with the women’s choices, the first one being the Fast Trek fleece jacket. 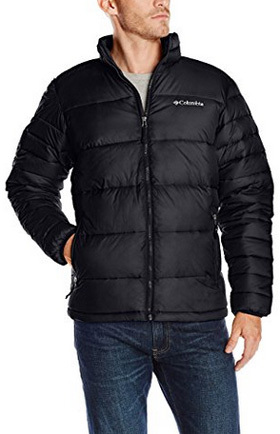 This is a great layering jacket, especially underneath winter coats, or a hard shell, as it provides warmth and top-notch insulation. Being a fleece jacket, the material is 100% Polyester and the cut is comfortably loose, for a better wear. With that being said, the waist is accentuated, creating a very feminine and delicate figure. 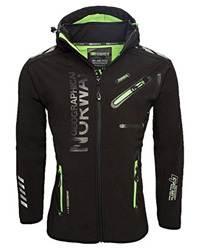 It is a lightweight, but very warm jacket, that comes without a hood and it is lightly resistant to water. On the outside, there are two hand-warmer pockets and on the inside there are two more pockets for your belongings. There is also a sleeve pocket and the jacket comes with a high, stand-up collar. There are over 30 color options to choose from. Also lightweight, but with great insulation, Mighty Lite III is a must-have for active women. It is made of 100% Polyester, in and out, including the insulation. What’s special about this jacket, is the Omni-Heat Thermal Reflective technology, which makes it an incredibly warm choice for cold days. The Omni-Heat reflective particles are great at reflecting body heat, thus maintaining a constant and better-regulated temperature inside the jacket. 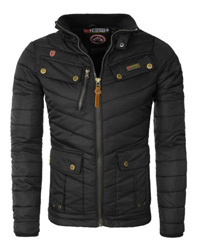 It is a hoodless jacket, with a high stand-up collar and with wrist gaiters in the cuffs. There are two outer pockets and also inner pockets, one of which being a security pocket for money and important belongings. There are 19 colors to choose from, including: Aqua haze, Black, Blue heron, Pond, Purple dahlia, Bluebell, Red camellia and Iris glow. Chic and trendy, Switchback II is a lovely design that works for both sportive and casual wear. The outer Hydroplus shell is made of 100% Nylon, while the fine mesh inner lining is made of 100% Polyester. 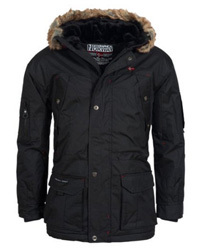 This is also a hooded jacket, with a water-resistant and windproof shell. The collar is high and comes with an attached hood that stows away underneath it. For those who love physical activity and don’t mind the weather, there are side vents that will help with ventilation. This, in turn, will prevent overheating and excessive perspiration. There are vertical pockets on both sides of the jacket, both with zipper closures and nicely sized. The bottom hem is adjustable with drawcord, while the sleeve cuffs come with Velcro fasteners for adjustment. The color selection is abundant, with 20 options, such as: Black, Bright rose, Harbor blue, Coral bloom, Bluebell and Miami. 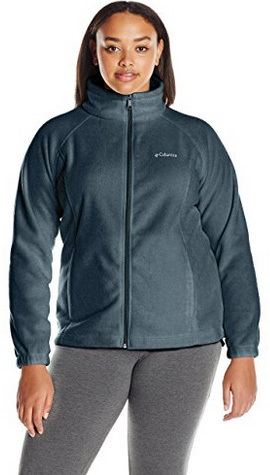 A lovely fleece jacket, Benton Springs is a warm and fluffy design for plus-size ladies. It is made of 100% Polyester and comes with elastic cuffs and a high collar. There are two outer pockets for keeping the hands warm, along with two oversized inner pockets. This is a breathable jacket and so comfortable that you will not want to take it off indoors either. It is, by far, the one with the most color options, some of which are: Sea salt, Fuchsia, Nocturnal, Paisley purple, Bloodstone, Night shadow and Dynasty. That concludes the women’s selection and it is the gents’ turn. Much like the women’s options, these jackets don’t lack in color options either, so let’s take a look. Ascender is a high-performance softshell, with a high collar and Velcro-adjustable sleeve cuffs. 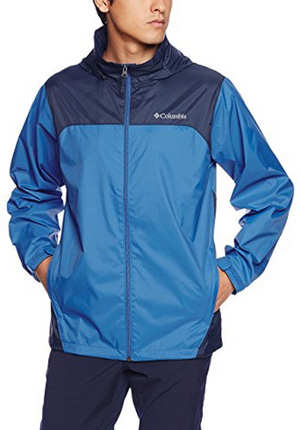 It is made of 100% Polyester and has a water-resistant and windproof outer shell. There are two side pockets and one chest pocket, all three with zipper closure. When it comes to color selection, there are over 30 colors to choose from. Yes, 30! Some of these options are: Black, Buffalo, Graphite, Night tide, Shark, Wildwood green and Super blue. A versatile jacket, that has it all, Bugaboo Interchange is a must-have for sure. 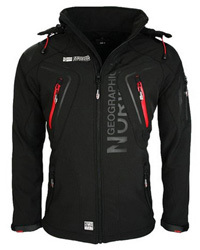 It comes in two jackets, that zip together to create a thick waterproof jacket. The outer shell is made of 100% Nylon, while the inner lining is 100% Polyester fleece, with Omni-Heat reflective technology. There are four outer pockets on the top layer, along with two pockets on the fleece jacket. The outer jacket comes with adjustable sleeve cuffs and a detachable storm hood. There are 10+ color options: Black, Graphite, Trail, Collegiate navy, Dark backcountry and Mountain red. Up next is a rain jacket, made of 100% Nylon on the outside. The shell is water-repellent, preventing water from collecting on the jacket’s surface, therefore keeping rain out more efficiently. It comes with a hideaway hood and a high collar, that keeps the neck protected and prevents water from getting through from the top. Both sleeve cuffs and bottom hem are adjustable, the former with Velcro fasteners and the latter with drawcord. There are two outer pockets on the sides and the jacket is packable when not in use. The colors to choose from include: Black, Blue jay, Bright red, Columbia grey, Dark mountain and 10+ more. Lastly, bringing us to the end of this selection is Frost-Fighter, a puffer jacket made of 100% Polyester on the inside and with a lining made of 100% Nylon. 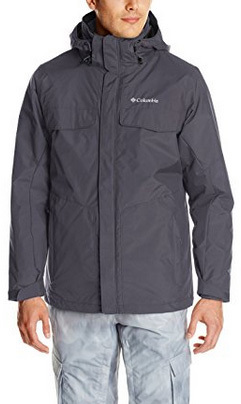 It is a water-resistant jacket, with imitation Down insulation, that performs beautifully even when wet. There are two hand pockets on the sides and it comes without a hood. The high collar zips up by the main water-resistant zipper and the sleeve cuffs are elasticized. It is a quilted jacket, which goes great with casual outfits and can be worn as an insulating layer when camping or spending time outdoors. It comes in 10+ colors, including: Black, Hyper blue, Cyber green, Night tide, Mountain red, Rocket and Super blue. Previous Article← Lycra vs Spandex vs Elastane: What’s the Difference? Are They the Same Material?